Since 1979, the Law Firm in Jonathan D. Light, P.C. has served Boston's injury victims by striving to obtain the maximum compensation possible in all types of injury cases. The firm has facilitated a number of successful resolutions for its clients throughout Massachusetts. Click below to view actual case results for each type of case. Discuss your catastrophic injury case today with experienced, personable legal representation today. The Law Firm of Jonathan D. Light, P.C. assists clients in Boston and throughout Massachusetts. Centrally located in downtown Boston, the office is across the street from the State Street subway stop. Call 617-245-0220 or contact the Law Firm of Jonathan D. Light, P.C. online to schedule your free initial consultation. $1,600,000 settlement for an automobile operator who was permanently injured with a lumbar spine injury and herniated discs which resulted in Reflex Sympathetic Dystrophy (RSD) in her leg and a chronic a pain syndrome when her vehicle was struck at a slow speed by a tractor-trailer. $340,000 settlement when an MBTA passenger was thrown from her seat and developed fibromyalgia when the bus was struck by another vehicle. $250,000 arbitration award when an automobile operator’s sustained a soft tissue injury which resulted into a myofascial pain syndrome and fibromyalgia when the operator’s vehicle was struck by another vehicle. $93,000 arbitration award when an auto operator’s knee became chronically swollen and inflamed and required arthroscopic surgery as a result of an auto accident. The operator was not aware of how she injured her knee in the accident and had no bruising or lacerations. $140,000 settlement when an operator sustained a closed head and mild traumatic brain (TBI) injury with memory, concentration and cognitive losses. The operator did not lose consciousness. $50,000 arbitration award when an auto operator received a post traumatic concussion as a result of a 5 to 10 mile an hour impact where her vehicle received very little physical damage. $500,000 settlement for a young child who sustained second- and third-degree burns over large parts of his body when he was left unattended and fell into a tub of very hot water in his mother's apartment. The case was brought against the manufacturer of the hot water heater and thermostat, claiming an improper and defective design, allowing the hot water heater to produce excessively hot water and creating an unreasonable risk of serious scalding injury and burns. 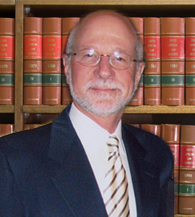 Attorney Jonathan Light worked in association with out-of-state counsel. $285,000 settlement for a plaintiff who sat in a defective chair in a retail store. The chair collapsed and he injured his back. The chair had a defective part which caused it to collapse. $1, 800,000 third-party settlement for a construction laborer who sustained a permanent crush injury to his foot resulting in Reflex Sympathetic Dystrophy (RSD) when a forklift went over his foot on a construction site. The laborer also had received several hundred thousand dollars of workers compensation benefits for weekly disability payments and payment of his medical bills. The workers compensation insurer agreed as part of the settlement to waive its lien and the client did not have to repay any monies out of the third-party settlement to the workers comp insurer. $575,000 settlement to the surviving wife and children of a maintenance worker who fell to his death over a loose railing from a second floor landing of an office building. The third party action was against a general contractor and a subcontractor which were renovating the building. The fall was unwitnessed and unexplained and had to be recreated through an accident reconstruction expert and simulation. The deceased had climbed over the railing and gone into a prohibited area. $495,000 third party and workers compensation lump sum settlement for the surviving spouse of a demolition worker who was struck by a falling Steel I beam on a construction site. The general contractor was sued on a third party case for its failure to follow adequate safety standards on the construction site. There was a serious issue of the decedent's comparative negligence and liability was vigorously disputed. $600,000 lump sum settlement for the surviving spouse of a maintenance mechanic who had an unexplained and unwitnessed fall from a roof of a commercial building. $250,000 lump sum settlement for a contractor who fell from a roof, causing a fracture of his heel bone. Liability was contested and had to be established after an evidentiary hearing. $225,000 lump sum settlement when an employee fell from scaffolding, injuring his back and head and sustaining a subdural hematoma that resulted in reduced cognitive skills. $575,000 third-party settlement plus ongoing workers compensation benefits of $41,600 per year for the life of the surviving wife of a maintenance worker who fell to his death over a railing from a second floor landing of an office building. $65,000 lump sum settlement for a construction worker who was sprayed by a high-powered hose sustaining an ear injury, causing vertigo and loss of balance. $160,000 lump sum settlement for a 65-year-old truck driver who hurt his shoulder and neck when opening the rear door of his truck and resulting in chronic pain. $399,000 settlement for an elderly tenant who sustained a detached retina and eye injury requiring surgery when she fell on the stairway leading down from her apartment. The stairway was in disrepair, poorly lit, and dirty with debris. $575,000 settlement to the surviving wife and children of a maintenance worker who fell to his death over a loose railing from a second floor landing of an office building. The third-party action was against a general contractor and a subcontractor which were renovating the building. The fall was unwitnessed and unexplained and had to be recreated through an accident reconstruction expert and simulation. The deceased had climbed over the railing and gone into a prohibited area. $150,000 settlement for a client who fell through a weakened part of a pier in the Boston harbor area causing an injury to her jaw and resulting in chronic facial pain. She was diagnosed with a Temporomandibular Joint (T.M.J) injury from the fall. The property owner denied liability, claiming the plaintiff was a trespasser. $250,000 settlement when a client slipped on an accumulation of ice on the sidewalk and sustained a fractured wrist, requiring surgery. Through litigation discovery it proven the ice was caused by downspout which diverted rainwater from an adjacent building onto the sidewalk. $280,000 settlement for a taxi driver who was parked in the airport taxi pool and slipped on a patch of oil which had soaked into the pavement, creating a slippery surface. He suffered back injury and chronic pain syndrome and filed suit against the owner/operator of the taxi pool premises because of its failure to adequately clean the surface. $300,000 settlement for a patron who slipped on a puddle of ketchup which was on the floor of a business establishment and sustained a knee injury and a herniated lumbar disk. Through discovery it was shown the owner of the premises was negligent in failing to clean up the ketchup for more than 30 minutes after it was brought to the manager’s attention. $212,500 for an 83-year-old client descending a stairway in a restaurant and fell down the stairs. She died immediately as a result of her fall. No one witnessed nor knew how the accident occurred. Based on investigation and expert analysis and accident reconstruction, the firm was able to prove a dangerous condition on the stairs most likely caused her fall. $495,000 third-party and workers compensation lump sum settlement for the surviving spouse of a demolition worker who was struck by a falling Steel I beam on a construction site. The general contractor was sued on a third party case for its failure to follow adequate safety standards on the construction site. There was a serious issue of the decedent's comparative negligence and liability was vigorously disputed. $90,000 settlement for a client visiting her parent's home when she was knocked over by their large dog causing her a knee injury requiring surgery. The parent's homeowner's insurance disputed the client but paid the settlement.